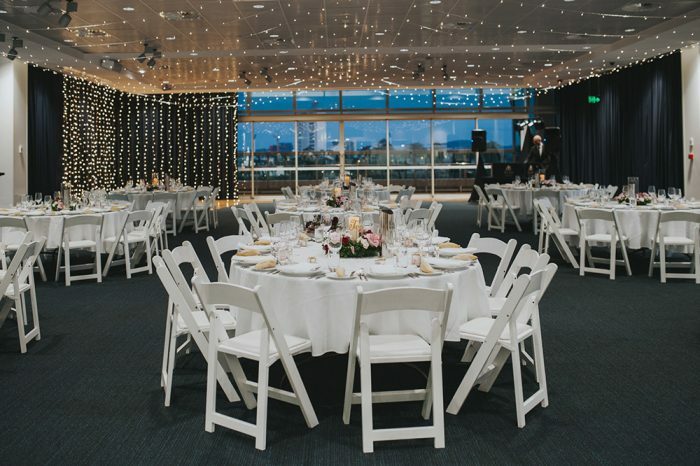 Room Three Sixty is one of Brisbane most sort after wedding venues. It sits on the top floor of an inner city building, overlooking the botanic gardens. The floor to celling glass windows provide unbeatable views of the city skyline and Brisbane river. 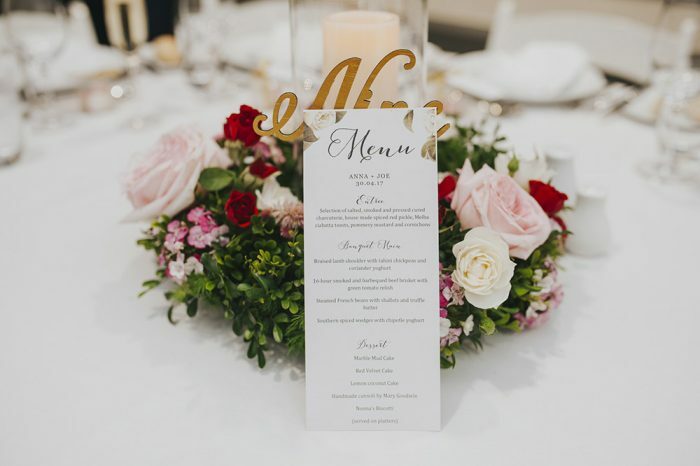 As the epitome of sophistication and elegance, Room Three Sixty was the perfect place for Anna and Joe to host their stylish inner city wedding. The weddings party and guests arrived at Three Sixty following the wedding ceremony. 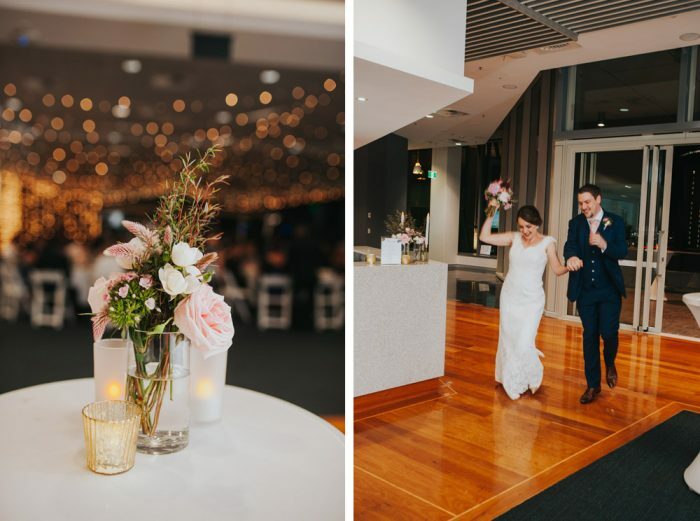 The guests were served pre-reception canapes and drinks while the Bridal party took a moment to refresh in the City View Room. As the guest finished their entrées, the father and mother of the bride and father of the groom made speeches. Following the speeches, the bride and groom cut the cake which was served onto plates for the guests to help themselves to. They were also offered freshly brewed coffee and herbal teas. 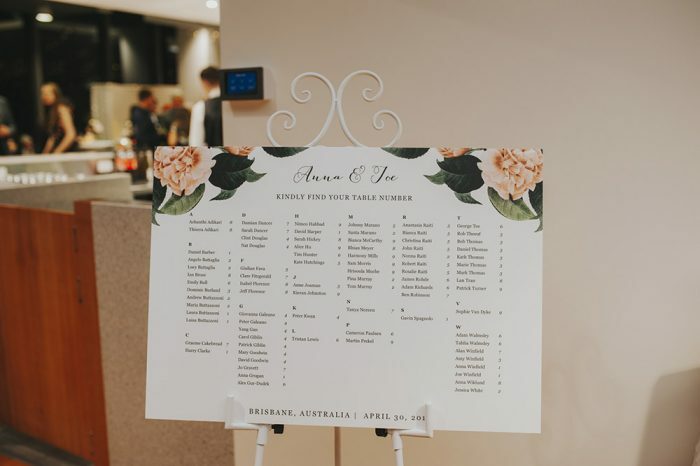 If you like the sound of Anna and Joe’s classic wedding with a view, contact us to start planning your wedding at Three Sixty.